We are delighted to be hatching eggs in our school again this year in all three buildings. Ms. Ryan is hatching ducklings in the Presentation Building while Ms. Flynn in the Academy Building and Ms. Boyle in the De La Salle Building are hatching chicks. 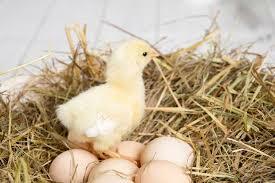 We are hoping to have hatches by Thursday 11th April (all going well), just in time for the Easter break. Hatching eggs is a great experience for children as they witness the incubation process first hand and learn to care for the eggs as they develop. They also may get to see the chicks hatching out if they’re lucky!